From the beginnings of baseball history people have been obsessed with team and individual statistics. Henry Chadwick invented the box score, others added their own twists until you have what is currently something like a glut of information. There was the Spaulding Guide and the Reach Guide for the early part of the 20th Century. Even magazines like the Sporting News and Baseball Digest could be stat heavy. But for comprehensive stats all in one place you might have to do a lot of research. In the late 1960s that all changed. 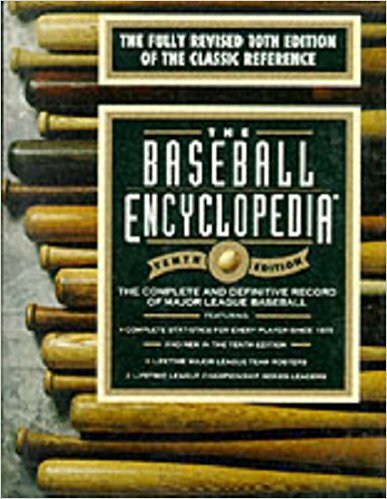 the Macmillan Baseball Encyclopedia hit the market and there they were, the statistical information all in one place for every player who’d ever stepped out on a diamond. It was new, it was exhaustive, it was admittedly incomplete, it was occasionally wrong, but it was available for every fan (provided you had the money and the muscle power to lift the thing) to read over to his (or her) heart’s content. I ran across my first copy in the university library where I was teaching. I checked it out, fell in love with it, and spent more time than I should copying out information. The 1996 version (pictured above) became a household treasure (I still have it) when my wife and son pooled their money and bought it for me for a holiday gift. I always thought it was a gift of love. My son, on the other hand, was a rabid Twins fan and I always thought he went along with purchasing it in a case of enlightened self-interest (he used to look it over quite a bit). Whatever the motivation, I still have it and still use it sometimes when I just want to browse. I saw they were still available to purchase. Amazon had one for $12, which surprised me. I hope each of you has occasion to use one, just so you can say you did. When I go, the book goes to my wife. I hope she’ll pass it along to my son so he can continue to enjoy using it sometimes, and maybe think back to a good time he had going over it with the old man. Now, go get a book on baseball and read it. With the Tigers leading the 1935 World Series three games to two, the contest moved back to Detroit. A Tigers win would make them first ever champions (the old National League Wolverines had won back in the 1880s, but the Tigers had never won a title). Chicago had to win both games to claim its first championship since defeating Detroit in 1908. For game 6, Detroit sent Tommy Bridges to the mound. Chicago countered with lefty Larry French. 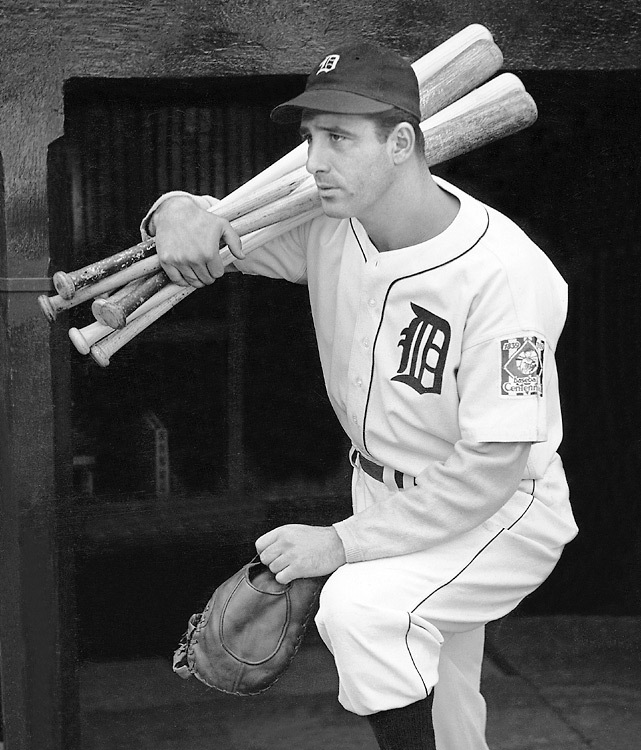 The Tigers struck early with back to back singles by manager and catcher Mickey Cochrane and second baseman Charlie Gehringer. After an out, Pete Fox doubled to score Cochrane, but Detroit failed to bring Gehringer home from third. Chicago tied the game in the third on singles by Billy Jurges, Augie Galan, and Billy Herman. Herman’s single plated Jurges, but Galan was out at third trying to stretch the hit. Detroit went back ahead in the next inning with more singles and a forceout by pitcher Bridges that scored Gee Walker. The Cubs immediately went ahead in the fifth on a French single and a Herman homer. And that lead lasted just over an inning as a Billy Rogell double and a Marv Owen single tied the game in the bottom of the sixth at 3-3. For trivia buffs, it was Owens’ only hit of the Series. Each team put a man on in the seventh, but neither scored. After a one-two-three top of the eighth, the Tigers had two men on in the bottom of the eighth but failed to score either. In the top of the ninth, Stan Hack led off with a triple, but a strikeout, a tapper back to the pitcher, and a fly to left stranded him. In the bottom of the ninth, Flea Clifton struck out, but Cochrane singled. A Gehringer roller to first moved Cochrane to second and brought up Goose Goslin, hitting in what was normally Hank Greenberg’s spot. 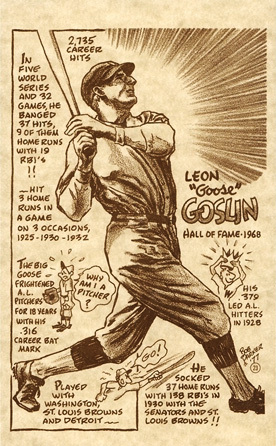 With Greenberg out with a broken wrist, Goslin, who normally hit fifth, had moved up one spot in the order. He singled to right, bringing Cochrane home with both the game and the Series winning run. Detroit was champion by a 4-3 score. Don’t you wish they still did things like this? It was a terrific World Series, only one game (game 2) being decided by more than three runs. One game (4) had gone into extra innings, and the Series had been won on the final swing of the bat by Goslin. For Detroit, they’d hit .248 with one home run in 51 hits. Greenberg had the homer and his injury in game two put the Tigers in a bind when they lost their clean up hitter. Marv Owen and Flea Clifton didn’t do much in replacing him (one hit, although a critical one, between the two of them), but the remainder of the team stepped up to cover the hole. Both Fox and Gehringer hit over .350 and tied for the team lead with four RBIs. Gehringer also led the team with four runs scored while Fox had 10 hits to lead the Tigers. Cochrane hit only .292, but did a good job as manager. The Tigers pitching was led by Bridges who went 2-0 with a 2.50 ERA in two complete games. Schoolboy Rowe posted a 2.57 ERA with a team leading 14 strikeouts, but took two losses to go with one win. Alvin “General” Crowder got the other win. For Chicago, Lon Warneke was the big hero. He’d gone 2-0, including a complete game shutout, had an ERA of 0.54, had given up only one run over 16.2 innings. Chuck Klein, in his only World Series, and Billy Herman each hit .333 and produced one home run. Herman’s six RBIs lead both teams. Frank Demaree led all players on either team with two homers. There was no World Series MVP in 1935, but if I’d been voting, I would have given it to Bridges (feel free to disagree). For the Tigers it was their first ever World Championship. They’d been in the World Series in 1907, 1908, 1909, and 1934 and lost each (two to the Cubs). They would be sporadically good for the next decade winning pennants in 1940 and again in 1945, taking the Series in the latter year (also against the Cubs). For Chicago it was more of the same pain. They’d lost in 1910, 1918, 1929, and 1932. If the pattern held, they’d get their next chance in 1938. With the 1935 World Series tied at one game apiece, the teams shifted to Chicago’s Wrigley Field for games three, four, and five. Any kind of split would send them back to Detroit for the final game or games of the Series. For the first game in Chicago, the Cubs sent Bill Lee (obviously not the later Red Sox hurler) to the mound to face down Detroit’s “G-Men.” The Tigers, now short injured Hank Greenberg at first, responded with Eldon Auker. Neither man was around for the conclusion of what many called the best game of the Series. The Cubs struck first with two runs in the bottom of the second. Frank Demaree led off with a home run. A Stan Hack single and a steal of second put a runner in scoring position. An error by substitute third baseman Flea Clifton (regular third baseman Marv Owen was at first in place of Greenberg) moved him to third and he scored on a Lee ground out. In the fifth they got another run on a Billy Jurges walk, a bunt, and a run scoring single by Augie Galan. The 3-0 score would hold up exactly a half inning. In the top of the sixth, Detroit got that run back on a Goose Goslin single and a Pete Fox triple. With Fox safely at third, he wandered away from the bag and Lee picked him off to end the threat. Detroit finally broke loose in the eighth. Jo Jo White walked. With one out, a Charlie Gehringer double sent him to third. Goslin, hitting in Greenberg’s normal spot, singled both men home to tie the score. Consecutive singles by Fox and Billy Rogell scored Goslin and sent Fox back to third. With only one out, Rogell broke for second. The throw was ahead of him, so he froze in place. During the subsequent rundown, Fox scored. With the score now 5-3 in favor of Detroit, the Cubs went quietly in the eighth. After a quick top of the ninth the Cubs faced a bottom of the ninth down by two runs. With one out, Hack singled. A Chuck Klein single sent him to second and a Ken O’Dea single scored Hack with Klein heading to third. A long fly by Galan tied the game and sent it into extra innings. Both teams managed a hit in the 10th, but neither scored. With two outs in the top of the 11th and Marv Owen at second, White singled home the go ahead run. With Schoolboy Rowe now on the mound for Detroit, the Tigers set down Chicago in order in the bottom of the ninth to win the game 6-5 and take a one game lead in the Series. With game 4 ending 6-5 and both teams better known for their hitting than for their pitching, game 5 turned into a pitcher’s duel. The Tigers had Alvin “General” Crowder (the nickname came from a General Enoch Crowder of World War I) going against Tex Carleton (who did come from Texas). Both men pitched well. Crowder gave up a lead off homer to Gabby Hartnett in the second while Carleton let Detroit tie it up in the third on a Crowder single and a Gehringer double. It stayed 1-1 through inning following inning until the sixth. With two out, Flea Clifton reached second base on a dropped fly by left fielder Galan. That brought up Crowder who hit a grounder to shortstop Jurges. Jurges got to it, couldn’t control it, and Clifton scored with Crowder safe at first. It was all Crowder needed. The Tigers got a walk in the seventh, couldn’t score, went in order in the eighth, then put two men on in the ninth. A double play got Detroit and Crowder out of the jam and put the Tigers up three games to one by a score of 2-1. Both pitchers did well. Over seven inning, Carleton gave up one earned run struck out four, walked seven, and gave up six hits. Crowder, with both the arm and the bat, was the star. He’d contributed to both Detroit runs, gave up only the home run to Hartnett, walked three, gave up five hits, and struck out five. Down three games to one, the Cubs now had to run the table to win the Series. 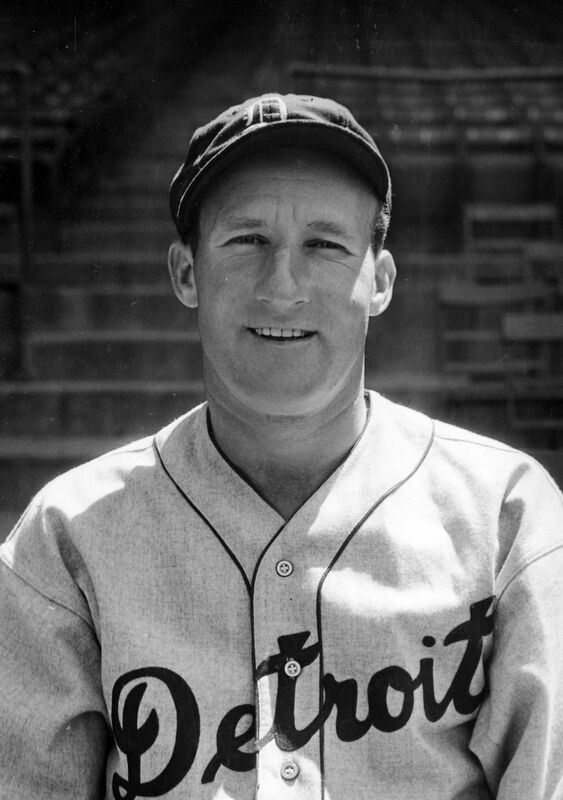 Remarkably enough, with their star first baseman Greenberg on the bench, Detroit had won two games in a row. Game five was the next day. The fifth game of the 1935 World Series turned into another pitcher’s duel as the two game one hurlers, Lon Warneke for Chicago and Schoolboy Rowe for Detroit, squared off for what could have been the deciding game. It wasn’t because Warneke pitched almost as well as he had in the first game. Over six innings he gave up three hits, all singles, walked none and struck out two before being lifted in the top of the seventh for Bill Lee. Rowe matched him until the third inning when he gave up two runs on a Billy Herman triple and a Chuck Klein home run. He gave up another run in the seventh to put the Tigers up 3-0 going into the ninth. Three singles gave Detroit a run but a fly to center, a grounder to second, and a foul snagged by the first baseman ended the threat and gave Chicago its first home win of the Series. Over the years, Wrigley Field has been unkind to the Cubs in postseason play. They have used it since 1916 and played their first World Series in the park in 1929 (the 1918 Series had been moved to Comiskey Park). In the 1929, 1932, 1935, 1938, 1945, and 2016 World Series combined, the Cubs have won exactly three games at Wrigley (one each in 1935, 1945, and 2016), the win in 1935 being the first home win in Wrigley. With Detroit up three games to two, the Series now moved to the Motor City for a possible two games. Chicago would have to win both to capture their first title since 1908. For the Tigers a win in either game would give them revenge for their last World Series failure, the same 1908 Series. The 1935 World Series began in Detroit. It was to be played in a format familiar to us. The first two games were in Detroit, the next three in Chicago, then a final pair, if necessary back in Detroit. There was one significant difference between those games and the modern version. Because of the proximity of the two towns, the games would be played on consecutive dates. For game one, both teams sent experienced pitchers to the mound, Schoolboy Rowe for the Tigers and Lon Warneke for Chicago. Both men pitched well, but a number of Detroit errors, a key one by Rowe himself, helped doom the Tigers. And it began immediately for Detroit. Augie Galan led off the game for the Cubs with a double. Then Billy Herman tapped one back to the mound. Rowe turned, tossed it to first, and missed Hank Greenberg’s glove by several feet. Galan scored easily but Herman, running through the base, was unable to advance. A Fred Lindstrom bunt back to Rowe sent Herman to second (this time Rowe got the throw right). Gabby Hartnett followed with a single to score Galan. Rowe then settled down and got out of the inning down only 2-0. It was more than enough for Warneke. He breezed through the game giving up only four hits and walking another four. It wasn’t until the fourth inning that Detroit got two men on base and managed to move one of them to third before the died there waiting for a hit. It was the only inning the Tigers put either two men on base or moved a man to third. Meanwhile, Rowe, apparently getting over the error, matched Warneke with zeroes until the ninth. Frank Demaree led off the top of the ninth with the Series’ first home run to give the game its final score 3-0. For the game, Rowe had given up seven hits, struck out eight, walked none, and given up two earned runs. He’d also made the critical error. For game 2, the Tigers sent Tommy Bridges to the mound. He drew Charlie Root for a pitching opponent. Root has last seen World Series action in 1932 when he’d given up Babe Ruth’s “called shot” homer in game three. On this occasion he had the same amount of success, none. After an uneventful top of the first, Detroit lit up Root in the bottom of the inning. Jo Jo White led off with a single. A Mickey Cochrane double scored him. 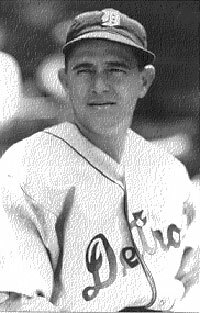 Charlie Gehringer followed with a single scoring Cochrane. Then Hank Greenberg parked one in the left field stands for two runs and an early exit for Root. Ray Henshaw replaced him with only slightly more success. After surviving the second and third innings, Henshaw, with two outs in the fourth, plunked Marv Owen. A Bridges single sent Owen to third and a walk to White loaded the bases. Then Henshaw uncorked a wild pitch moving up all three runs and making it 5-0. He walked Cochrane to reload the bases, bringing up Gehringer. He singled to score Bridges and White. Out went Henshaw, in came Fabian Kowalik who managed to retire Greenberg to end the inning. The score stood 7-0. Chicago got a run back on an error, a ground out, and a single, then two more on a walk and consecutive singles, but it was too late. Detroit came up in the bottom of the seventh ahead 7-3 when one of the key moments of the Series occurred. With two outs and two on, Pete Fox singled to right plating Gehringer. Following close behind, Greenberg tried to score also, but was thrown out at home. In the collision at home, he broke his wrist and was done for the Series. It changed the Tigers lineup for the remaining games by moving Owen to first and bringing in Flea Clifton to play third. At that point Greenberg had a home run and two RBIs. For the entire rest of the Series Owen would get one hit and Clifton went oh-fer. But Detroit had evened the Series at one win apiece. The next three games would be in Chicago, where a sweep by either team would crown a champion. The 1935 World Series was now a best of five. By 1935 the Chicago Cubs were in the midst of one of the strangest runs in Major League history. After falling off beginning in 1911, they’d won a pennant in 1918 then spent a decade in the wilderness. In 1929 they won the National League pennant and lost the World Series. Three years later in 1932 they won another pennant and lost another Series. In 1935 it was again three years later. And they would carry it on through a final pennant three years later in 1938. That’s winning a pennant at three-year intervals from 1929 through 1938. Their manager was former first baseman Charlie Grimm. By ’35 he was technically a player-manager, but at age 36 he was much more manager than player, getting into only two games (eight at bats without a hit). He was, unlike Cochrane, well liked by most people and most of his team (“Jolly Cholly” being his nickname). The team was first in the NL in batting, on base percentage, and OPS while being second in slugging and total bases. It was also first in runs, doubles, and walks, while finishing third in triples, homers, and stolen bases. The staff finished first in hits allowed (that’s the least number of hits allowed by a staff), runs allowed and ERA, while coming in second in strikeouts. It was a team of mixed veterans and new guys. The newest guy was Phil Cavarretta who was 18. He hit .275 with eight home runs and 0.8 WAR, but would get better, earning an MVP Award in 1945. 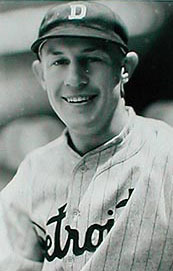 Hall of Famer Billy Herman held down second. He led the team with a .341 batting average was second on the team with 83 RBIs (one more than Cavarretta). His 6.9 WAR led the team. His double play partner was Billy Jurges. He hit all of .241, but had 2.5 WAR, 3.0 of that coming from his defense. Stan Hack was at third. Hitting .311, he did some lead off work. He stole 14 bases and put up 4.5 WAR. Woodie English and Fred Lindstrom, both in the latter part of their careers, did most of the backup work. Both were 29. Lindstrom hit .275, English just barely topped .200. Lindstrom did produce 62 RBIs in 90 games. They both turned in WAR of 0.5. The outfield saw five men patrol it for more than twenty games. Augie Galan was the main man. He had a triple slash line of .314/.399/.468/.866 (OPS+ of 131, good for second on the team). He stole a team leading 22 bases. The entire team stole 66 and Galan’s 22 was a third of the total (and with Hack’s 14 they had over half). He scored 133 runs and his 5.1 WAR was second on the team (to Herman). Phillies refugee Chuck Klein, a few years removed from a Triple Crown year, led the team with 21 homers, had 73 RBIs, hit .293, and had 2.8 WAR. The other main starter was Frank Demaree. He hit .323 with no power and only six stolen bases. His WAR was 1.6. The backups, Tuck Stainback and Hall of Famer Kiki Cuyler managed about 250 at bats together they had seven home runs and Cuyler hit .268 to Stainback’s .255. At 34, Hall of Fame backstop Gabby Hartnett was the oldest starter (Cuyler, at 36, was older). He’d been around for both the 1929 and the 1932 pennants and was instrumental in the 1935 victory. His triple slash line read .344/.404/.545.948 with an OPS+ of 151 with 13 homers, a team leading 91 RBIs, and 5.0 WAR. His backup was Ken O’Dea who got into 76 games, hit .257, with six home runs. That total gave the catching position second place on the team for homers (behind Klein). When Chicago made it back to the World Series in three years, Hartnett would be managing. Seven pitchers showed up in 20 or more games (and later Dodgers stalwart Hugh Casey pitched in 13, all in relief). Lon Warneke and Bill Lee both won 20 games with Lee’s ERA coming in just under three and Warneke’s at just over three. Both managed to give up fewer hits than they had innings pitched and had more strikeouts than walks. Warneke had a WHIP of 1.173 with 4.3 WAR while Lee’s WHIP was 1.290 with 3.1 WAR. Larry French was the main southpaw. He went 17-10 with a 2.96 ERA (same as Lee’s), ninety strikeouts to 44 walks, a 1.311 WHIP, 3.4 WAR, and the continuing bugaboo of giving up more hits than he had innings pitched. Tex Carleton and Roy Henshaw were the other two primary starters. Both had ERA’s in the threes and Henshaw walked more men than he struck out. Charlie Root, of Babe Ruth’s “called shot” infamy, was in the bullpen. He was 36, started 18 games (of 38 pitched) had a 3.08 ERA, and at 201 innings actually pitched more than either Carleton or Henshaw. Fabian Kowalik was the other man with more than 20 games pitched. His ERA was 4.22 in 55 innings. Having lost their last two World Series (actually four, but no one from the 1910 or 1918 losses was around), the Cubs wanted a win badly. There is no evidence that I could find that showed they cared about the two wins their earlier versions had put up against Detroit. Games one and two would be in Detroit. All the way back in the first decade of the 20th Century, Detroit fielded the premier team in the American League. Led by players like Ty Cobb and Sam Crawford they won three consecutive AL pennants from 1907 through 1909. In three consecutive World Series appearances, however, they failed to win. In 1909 they came up short against Honus Wagner and the Pittsburgh Pirates. 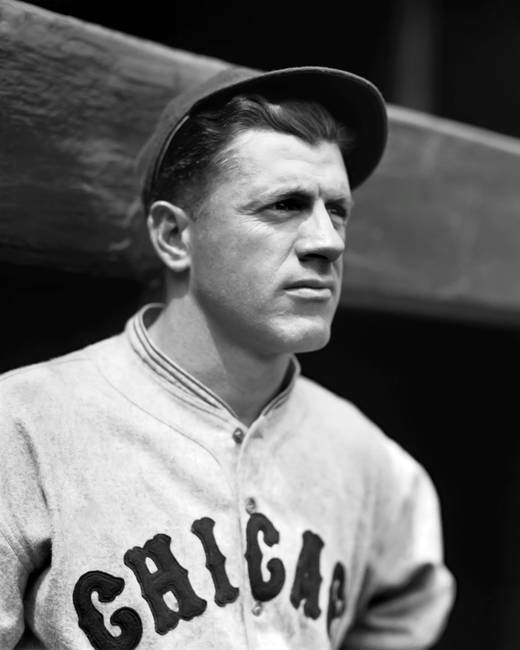 In both 1907 and ’08 it was the Tinker to Evers to Chance Chicago Cubs that thwarted them. After that they went into something of a tailspin that lasted into the 1930s when they again began fielding a superior team. It got to the World Series in 1934 and this time managed to lose to Dizzy Dean and the St. Louis Cardinals. With essentially the same team they won the AL pennant the next year. 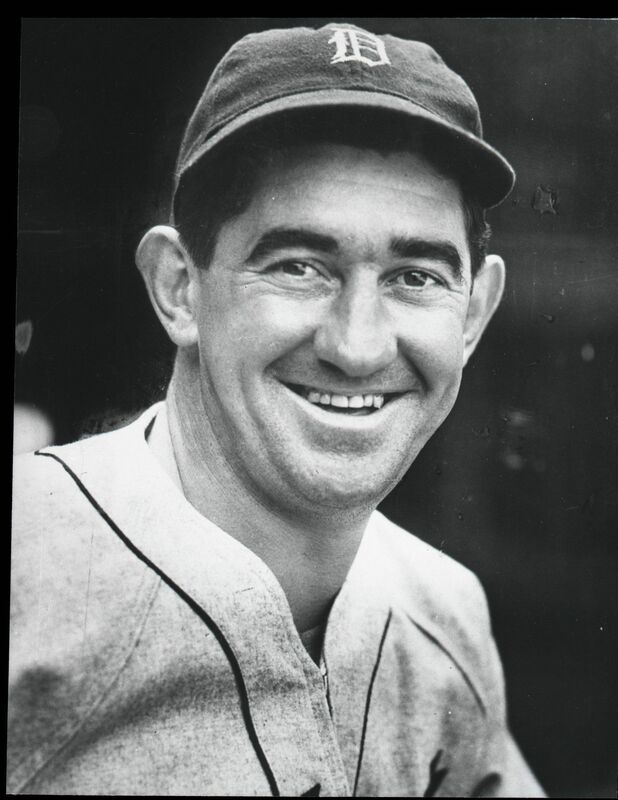 Player-manager Mickey Cochrane led a team that led the league in runs, average, slugging, OBP, OPS, and total bases while ranking second in hits, doubles, triples, homers, and even stolen bases. The pitching staff was second in ERA, strikeouts, hits, and runs allowed. Cochrane himself contributed a .319 average, 46 RBIs, an 5.0 WAR. He wasn’t particularly well liked by the team. He was an in-your-face type manager who took emotion to a level that sometimes rankled his players. His backup was Ray Hayworth who also hit over .300 in 51 games. They caught a staff that consisted of four primary starters. Schoolboy Rowe was 19-13 with an ERA in the mid-threes. He struck out a lot of men (140) for a WHIP of 1.233 but gave up a ton of hits. All of that resulting in 5.3 WAR. Tommy Bridges got 21 wins and an ERA just under Rowe’s, led the team in strikeouts with 163, but gave up more hits than he had inning pitched and showed 3.4 WAR at season’s end. 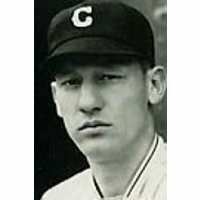 Eldon Auker had 18 wins, an ERA of 3.83, gave up 18 more hits than he had innings pitched and had a walk to strikeout ratio that was close to one (1.405 WHIP) and 2.6 WAR. The other major starter was General Crowder whose ERA blossomed to over four, had more walks than strikeouts, gave up more hits than he had innings pitched (WHIP of 1.394) but still managed 16 wins and 1.7 WAR. The bullpen was led by Chief Hogsett’s 1.6 WAR, the result from, again, more hits allowed than innings pitched and more walks than strikeouts (1.634 WHIP). Joe Sullivan got into 25 games, half of them starts (12) and had an ERA of 3.51. Hogsett and Sullivan were the only lefties. The infield was, in many ways, the strength of the team. It consisted of two Hall of Famers on the right side and two very good players on the left. Hank Greenberg held down first. His triple slash line read .328/.411/6.28/1.039 (OPS+ of 170) for 7.7 WAR. He had 36 home runs, 46 doubles, 16 triples (he seems to have liked the number six) and 168 RBIs (see what I mean about six?). His right side partner was Charlie Gehringer whose 7.8 WAR led the team. He had 19 homers, second to Greenberg, 108 RBIs (third on the team), and a triple slash line that read .330/.409/.502/.911 (OPS+ of 138). Beside him around second was Billy Rogell. He hit .275 with a .754 OPS and was fourth on the team with 74 RBIs. His WAR clocked in at 5.1. A brief aside is in order here. 5.1 WAR is generally considered all-star level. At the same time Rogell shows a 98 OPS+. Both are good stats and I’m sometimes surprised at how differently they can evaluate the same guy. Marv Owen was at third. He .263 with two less RBIs than Rogell (72), hit .263 and had only 0.3 WAR. Flea Clifton, who hit 2.55 (-0.2 WAR) was the only backup infielder who played in more than 20 games (and ya gotta admit with names like Flea, Chief, General, and Schoolboy this team had great nicknames). As repeat pennant winners, the Tigers had experience in postseason play. Their opponents were the Chicago Cubs, thus giving the team a chance to gain revenge for the 1907 and 1908 losses. Having said that, I find no evidence that anyone on the team particularly cared if they got “revenge.” They wanted to win for their own team and their city. This is getting awful. For the second time in one day I have an RIP post. Don Baylor was a big (for his time) outfielder who played for a lot of teams, starting with Baltimore in the early 1970s. In 1986 he went to the World Series with the Red Sox. In 1987 he was there with the winning Twins. In 1988 he was there for a third straight season with a third straight team; this time the A’s. That was, at the time, unique (I don’t know if it’s still a record). 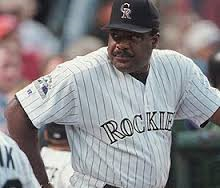 Later he managed the Rockies to their first post season play. 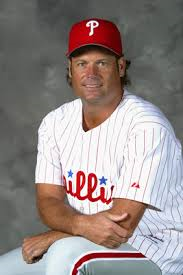 Just saw that Darren Daulton died of cancer. For those of you who don’t remember him, Daulton was a catcher primarily in the 1990s. He played most of his career with Philadelphia and then with the Florida (now Miami) Marlins. He helped both to a World Series and was part of the championship Marlins team in 1997. A friend of mine used to tell me that he was the greatest catcher ever. She was wrong, but he was very good and it shows how well he was liked by his fans. Ever have one of those problems where you just don’t know what to do with it? You worry about it, you examine all the possibilities, and you still don’t know what to do with it? Ever have one of those? I do. What to do with Omar Vizquel. Yep. You see he’s coming up on the Hall of Fame ballot, and as one of those deserving people who should have, but don’t have, a vote I need to weigh in. Every year when the Hall ballot comes out I put in my 2 cents worth (and some people think I should give a refund) on who I’d vote for. And there stands Omar Vizquel (which isn’t quite the same as the old song “There stands the Glass”) and I don’t know what to do. On one hand I see him as a Hall of Fame player and on the other I don’t. As a fine fielding shortstop he was wonderful, as a hitter, well, not so much. It wasn’t that he was a bad hitter (there are probably worse in the Hall now), it’s just that I look for better in a sure-fire, honest to God, dyed in the wool (Anybody know any more good clichés to stick in here?) Hall of Fame member. His fielding was fine, but the state of defensive statistics makes it hard to determine just how good he was overall. And to be blunt about it, I don’t want someone who doesn’t deserve election cluttering up the bottom of the Hall of Fame (there’s enough dross there already). So when the big day comes and I unveil my latest “List of Ten” (you should probably hum some very martial music when reading “List of Ten”) I have no idea whether he’ll be there or not. Fortunately I have time to figure it out. I promise not to do it publically here (or “in front of God and everybody” as we like to say around my part of the world). You are currently browsing the Verdun2's Blog blog archives for August, 2017.